If the heating isn't working, there are a couple of things to try before contacting us. First, check the boiler to see if its switched on. If it isn't, trying turning it on by pressing the power button. If that doesn't work, check the fuse box in the house to see if any of the circuit breakers are down. If there are any down, try pushing them back up and try the boiler again. If that doesn't work, there may be a technical problem and you'll need to contact us. 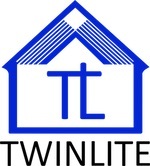 Please email support@twinlite.com and give us as much detail as possible (you can even send pictures). We'll get our maintenance team to deal with it as soon as possible.